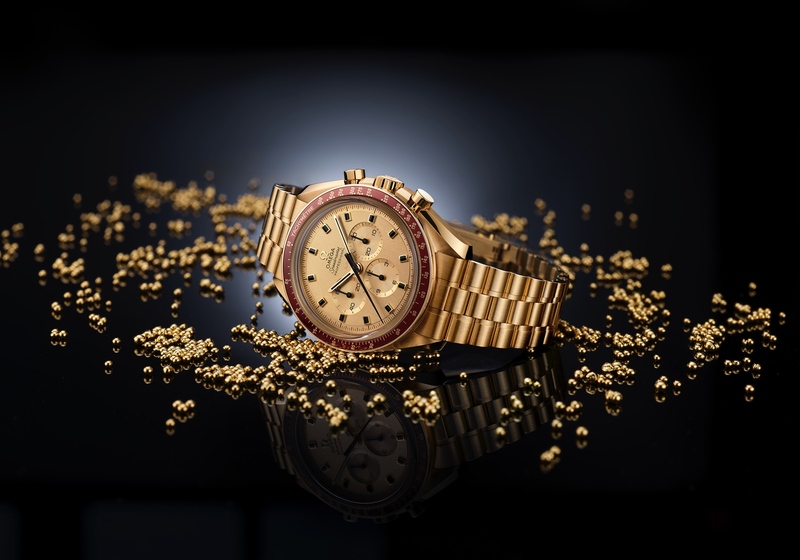 At the Phillips Geneva watch auction this past weekend a 1958 Omega Speedmaster 2915-1 “Broad Arrow” – which is the very first Speedmaster reference – sold for a record-breaking $408,500. The Speedmaster 2915-1 comes in a 38 mm diameter stainless steel case with the highly desirable (and collectible) Omega caliber 321 movement powering it. Making this the complete kit, are accouterments such as a stainless steel semi-expandable Omega stamped bracelet and deployant clasp, original red box and instruction leaflet, and an Omega extract from the Archives confirming production of the present watch and its subsequent sale in Costa Rica on December 17, 1958. The Speedmaster was the first chronograph wristwatch to feature a tachometer on the bezel, as opposed to on the dial and has gone on to be a legendary watch worn on the moon, and highly regarded by many for its classic design. What sets this Speedmaster apart from future iterations is the all-metal bezel instead of a black insert, the large “Broad Arrow” hour and minute hands, and the “O” in Omega is oval instead of round like the newer iterations. Also, the case has the “Speedmaster” designation engraved on the slanted edge of the case back rather than on the center, and the lack, in earlier examples such as the present one, of the Seahorse engraving. It has the straight lugs too, but so do the subsequent 2915-2, 2915-3, and 2998 References. Produced between 1957 and 1959, reference 2915 comes in three different version: -1, -2, and -3. The CK2915-1 is the first, and most desirable, along with the -2. 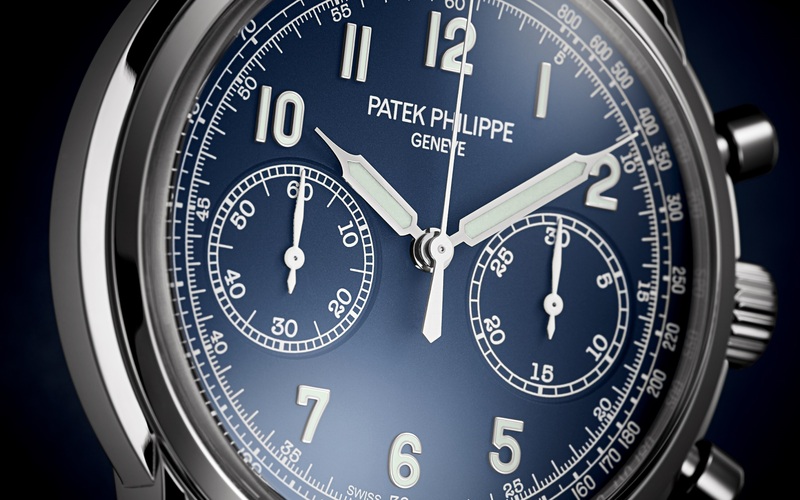 These two are virtually identical, with only a few minor graphic variations on the tachymeter scale for some models. The 2915-3 version is the transitional model before the 2998 which features broads hands and a metal bezel for some and alpha hands with a black bezel insert for others or a mix. Some Mark 1 2915s would receive replacement parts using the newer versions, and in fact, this version being sold has a Mark 1 caseback (with no Seahorse), it comes with a Mark 2 bezel. Pre-sale estimates on this Speedmaster 2915-1 were $84,700-$148,000. 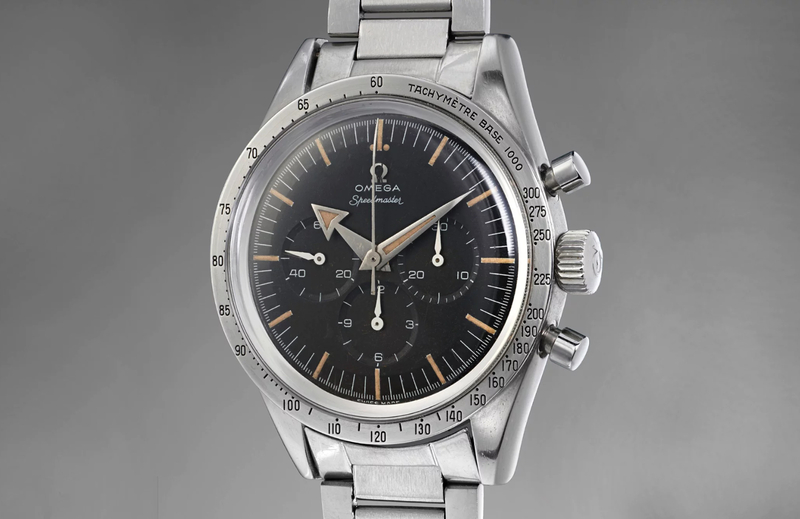 Although, a reference 2915 the Speedmaster that sold last year in Sweden for $275,508, and that was the previous record holder, was also the ultra-rare 2915-1, so this result of over $400K may not have been that big of a surprise.